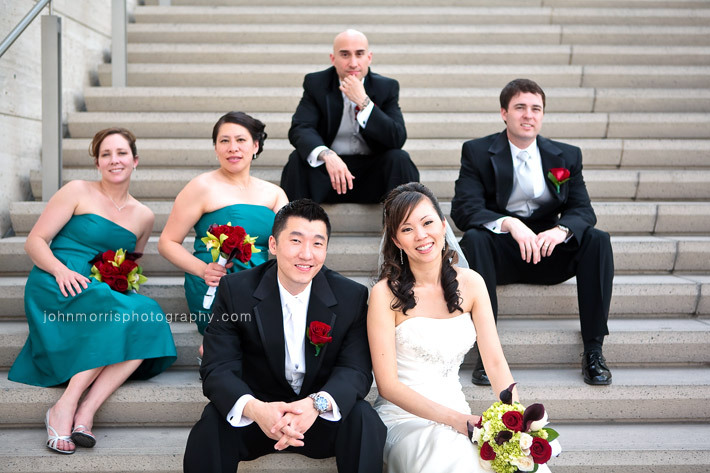 Paul and Shirley wanted great photos with their bridal party that were just a little different. Their request wasn’t too difficult given that everyone in the party was fantastic to work with. The day began at the Mandalay Bay resort where the ceremony was held. After taking some photos with family members and friends, the bridal party and I headed to the Las Vegas strip where we captured the couple and their party in various settings. The bride and groom were naturals, very relaxed and required hardly any posing at all. The bridesmaids and groomsmen were all quite lively and kept the usually boring family photos fun for everyone. Traditional formal portraits certainly didn’t fit this group.